We recognize that the best learning takes place when everyone is healthy. Our school nurse is dedicated to educating our students and their families with information about how to maintain a healthy body, both in and outside the classroom. To achieve this goal, the nurse will conduct mandatory vision and hearing screening tests during the year. The nurse will also conduct lice checks on students in the privacy of the nurse’s office. The nurse will send those students who have live lice home with lice shampoo and a comb. We will excuse the student for three days to clean his or her hair. After the third day of absence, we will consider the student unexcused from school. Upon returning to school, the nurse will recheck the student’s head, and if lice are still present, will send the student back home. If you have concerns regarding the health of your child, please contact the school office at (520) 315-3489. 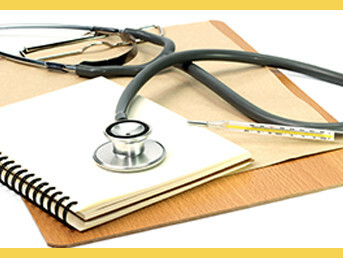 If your child is ill more than three (3) consecutive days, provide a medical note from your physician. All absences for doctors’ appointments and court appearances will be excused ONLY if the student presents a written doctor’s excuse or note from the appointment agency upon returning to school. Examples of unexcused absences are as follows: shopping, babysitting, not having clean clothing, and not making an effort to come to school after missing the bus. The school health office will give medications if it must be administered during school hours. Medications to be given two or three times daily are to be given at home, unless specifically ordered by the doctor to be given at school. Parents/guardians must deliver a child’s medications to the school health office. Parents must have the medication in the original container from the pharmacy. Pharmacies will provide a duplicate container for school use upon request. Parents/guardians and the child’s physician must complete and sign the appropriate consent for giving medications. The school considers inhalers medication, and they must be maintained by our school nurse.